TheBlueGuerilla: McKenzie Elected YI Deputy Chairman. 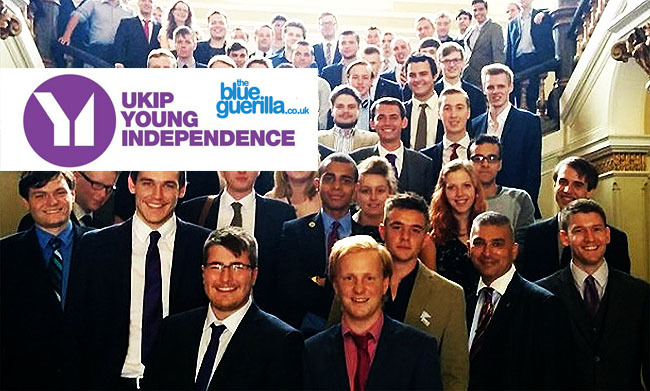 The results are in and, as TBG predicted last week, Jamie McKenzie has come up trumps in the YI deputy leader election. In his first post-election statement, Jamie said he wants to ensure elections and referendums are "not just fought at the ballot box and on the doorsteps, but in a range of grassroots interactions and groups." With YI often riddled with splits within its own ranks, any real attempt to impact the EU out campaign will mean not only learning to work with members of other parties, but with each other too. Elsewhere, there were wins for Kieran Warren as Media Manager, and Matt Mackinnon as Events Officer. The final results were not released, but this blog is trying to get hold of the numbers.